100% rye aged 11 years. What's not to like? Nose: the rye announces itself immediately with a rich, intense, peppery, herbal, and floral aroma. Becomes fruity with apple orchard fragrance in time. Oak notes deeper in the glass. Wonderfully complex and pleasing right out of the bottle. Taste: quite smooth and supple on the tongue, with immediate sweetness and then a bracing load of spice. Harmonious and balanced. Dangerously drinkable. Finish: perhaps the best part is how the flavours keep developing after you've swallowed. Pleasant and long, with no bitterness. Balance: even better than I'd hoped it would be. 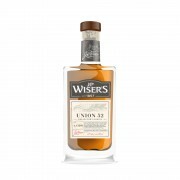 Miles ahead of most other whiskies at this price in Ontario. If you like Corby rye, or rye in general, definitely consider picking this up. @Megawatt, thank you for a very nice review! I too find this whisky very enjoyable, but after reading the review, I want a sip from your bottle. @Megawatt Thanks for the review. Dr Livermore and his team are putting out offerings that shatter the Canadian whisky stereotypes. I really enjoyed this one as well. 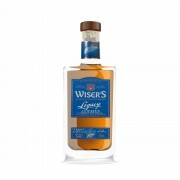 If only other Canadian distilleries took “premium whisky” as seriously as Corby/Hiram Walker does....It’s weird to call a $45 bottle “Premium” but the quality of this Rye is beyond dispute. 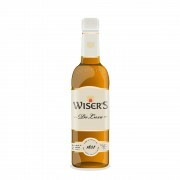 I still consider any Canadian whisky $40 and over premium. And once you get to $80+ you're in super-premium territory. I'm glad it hasn't kept pace with Scotch in pricing, for the most part. Though I do miss the days when I could get Gibson's 18 for $40.